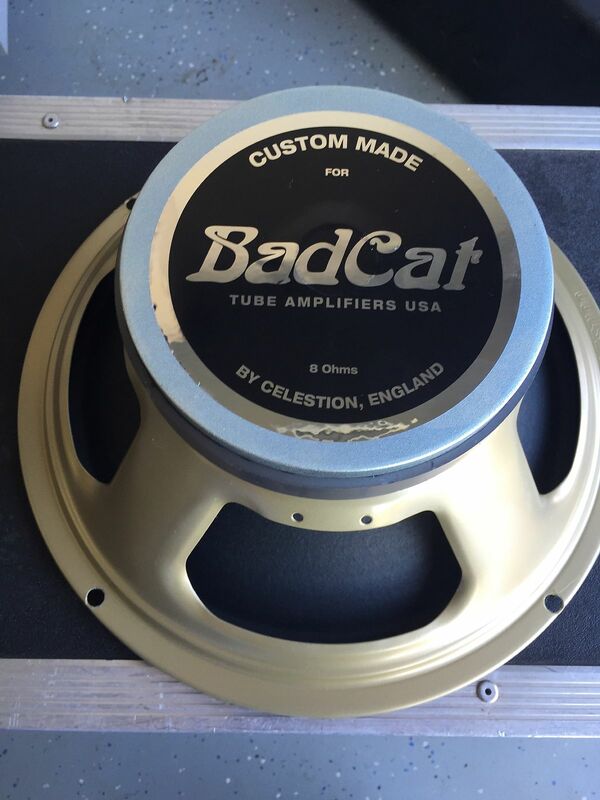 I have a cab loaded with 8ohm Mesa spec V30s and another cab loaded with 16ohm uk Celestion spec V30s. Both cabs are the same model. I like the low end tightness of the 16ohm speakers, but the tone is overall more boxy in the mids. I prefer the overall tone and balance of the 8ohm Mesa speakers, but it has a bit more low end bloom. I'm curious if any one has had 16ohm Mesa V30s in a 4x12 and compared them to either the 8ohm Mesa or 16 ohm celestion version? I'm wondering if they have more low end tightness without sounding boxy? Last edited by stephen sawall on Mon, Apr 15, 2019 11:44am, edited 1 time in total. Is the 16 Ohm a factory MESA speaker or is it just a UK Vin 30? Oh, there's more. There's the Blackstar tweaked version that they have on the Series One Pro 4x12 cabs and the Bad Cat propietary speaker. They also had the G12-60 which MojoTone used to claim was a tweaked V30 as well. 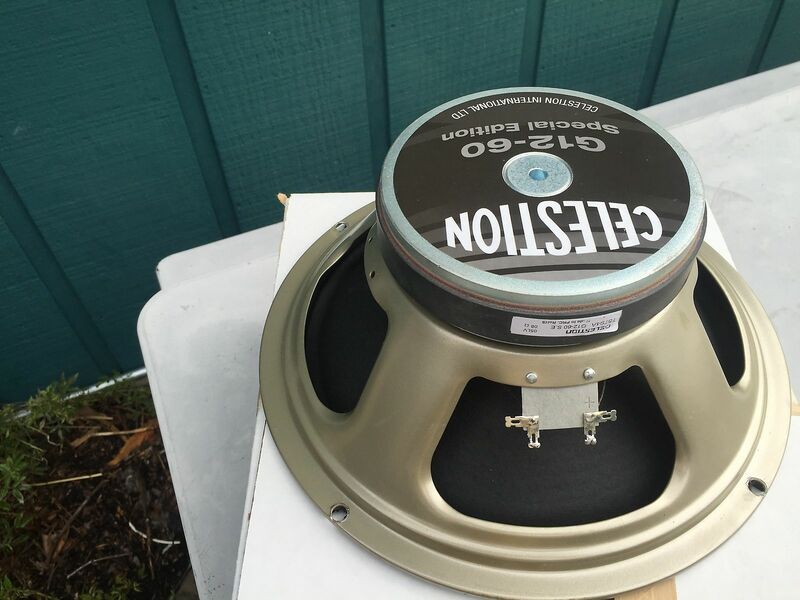 I have a couple of 16 ohm Celestion Relic 30's which I believe are just re-branded Vintage 30MF's, but they do have a different TXXXX code. Last edited by Rex Rocker on Mon, Apr 15, 2019 11:37am, edited 1 time in total. It's a touchy topic cause as was mentioned there is a difference between how a 16 ohm speaker will sound and respond compared to the same speaker in 8 ohms. I'm not even sure how much it has to do with the amp and its transformers acting differently at different ohm settings. In my experience , I prefer 8 ohms . Has been a more punchy and a bit clearer tone than 16ohms which to my ears is a bit more saturated , wet and loose. But , its subjective and could possibly be different depending on the amp . 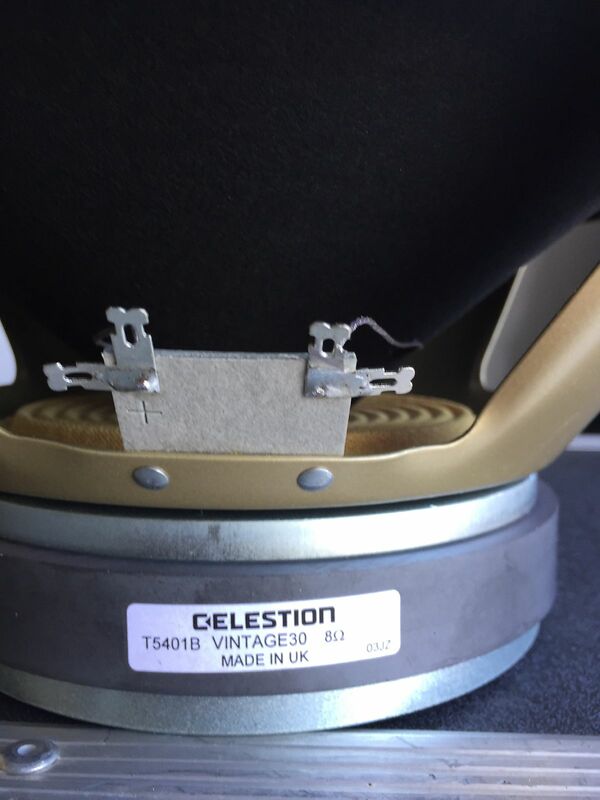 Are these all Celestion ??? Do they have a different code number than the ones I posted above ? I know there is lots of copies that are slightly different. Yeah my op probably wasn’t that clear. My 16ohm v30s are UK, but they’re not the Mesa ones. My cab is a vintage style Marshall cab, so probably not light years away from your Friedman and I’m not feeling the tone with the regular 16ohm v30s either. They’re tighter in the lows than the 8ohm Mesas, which is nice, but they also have some boxier mids I’m just not feeling. From what i’ve gathered in reading and a/b’s i’ve heard, the 16ohm version of a speaker tends to be tighter. On paper, the Mesa 16ohm may be ideal for me to get something closer to the freq response of the 8ohm Mesa with a little less low end bloom. I’ve never heard the Mesa 16ohm speakers in a 4x12 in person or clips, though, so it’s just a guess. So I guess what i’m getting at is whether anyone has put 16ohm Mesa v30s in a 4x12 and found they lack the boxiness of the regular uk/Chinese 16ohm v30 while being tighter than the Mesa 8ohm v30? Exactly. It’s impossible to tell what exactly is contributing what when comparing in this situation. Obviously there is a difference in the frequency response between the Mesa and regular v30, but is some of the reason one sounds boxy and the other doesn’t partly the result of one being 16ohm and the other 8ohm . Yep. All Celestions. Not copies. Just other tweaks on the V30 formula (H magnet, 444 cone, 60-ish W power handling, etc.) by Celestion. The Relic 30's I have sounds like Celestion's take on the "V30 minus the upper mid spike" thing. They're REALLY dark, IMO. Darker than the Mesa version even. I wonder if they have 16 and 8 ohm versions of each of these ? These seem to be pretty scarce. I bought the only 4x12 I've ever seen. Nice! I had read in one place they were regular v30s in the cab and in another place that they were a custom one, so I wasn’t sure. Do these sound different than regular v30s or is it an evh/heritage situation? The MESA V30s like I said earlier are custom made for MESA and the frequency they run at is way different than Chinese or UK V30s. BIG BIG Tonal difference trust me. The MESA made V30s from Celestion are much softer and warmer sounding and when A/B'd with Chinese made Celestion V30s the Chinese ones sound paper thin and ice picky. 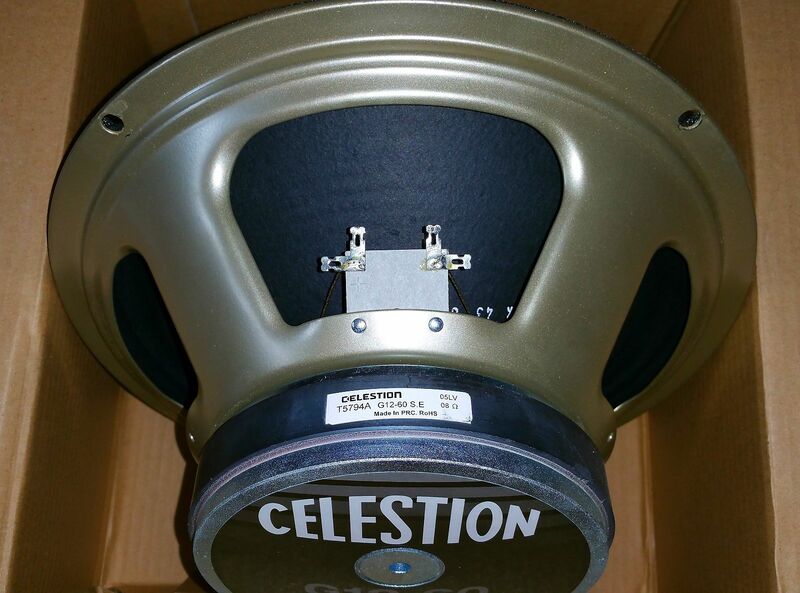 Go to the MESA website and you can buy directly from them the MESA issued Celestion V30s in both 8 and 16 Ohm. They are $149 each with free ship. To me there is a night and day difference where the MESA's sound so much more pleasing. Not a subtle difference but a huge one. 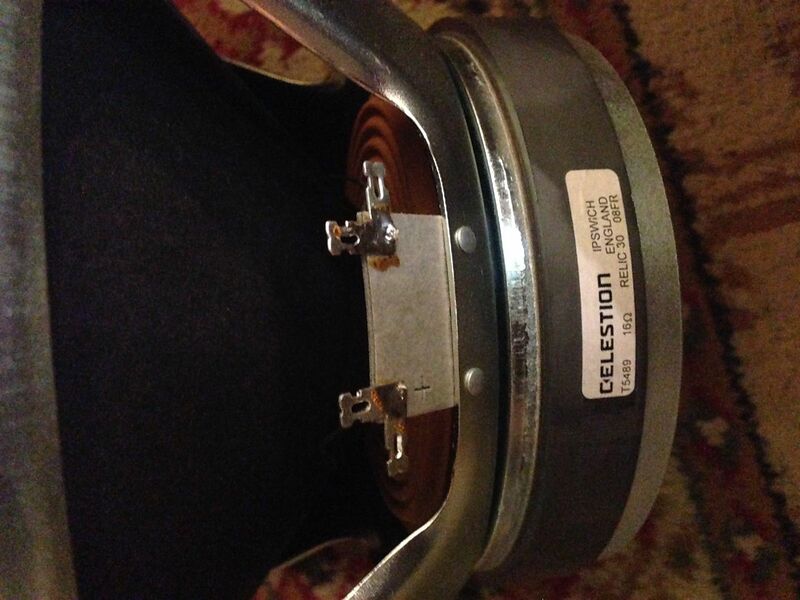 Trust me as I fought with this myself until I read that Celestion makes the V30s specific for MESA at a different cone frequency setting. I have pairs of both 8 and 16ohm versions, and it is very hard to tell diferences. I agree with what is written above about warmer characteristic and not so icepicky like newer V30. Get them in Europe alone is almost miracle. For 150$ in US it is no brainer if You like V30 tone. I was shocked as I normally am not a V30 guy until I picked up a MESA oversized on CL for a steal. It is my favorite cabinet now because the V30s are voiced differently then standard UK or Chinese V30s. Since I sold my Friedman cab, and am looking to off my Greenbacks, Creambacks, G12T-75s and Chinese V30s that I have in other cabinets. I use the original Marshall and Mesa...all 16 ohm. Would be into trying them all with identical cabs. I may just bite the bullet and nab a quad of the 16ohm Mesa versions. I emailed Dr Decibel and he said he “thinks” it’s a regular v30 with a custom label. My understanding is that if it has a unique "T" number, then there's a specific manufacturing process for that speaker. May have missed this earlier in thread - Does the stock OS cab come from Mesa loaded w/ 16ohm or 8ohm V30's ? I understand the cab is wired 8ohm input. The 4x12 has 8ohm v30s. The 2x12 has 16ohm speakers wired for 8ohms.